December 9 is now the United Nations' International Day of Commemoration and Dignity of the Victims of the Crime of Genocide and of the Prevention of this Crime. We join the UN today in remembering the victims of Genocide and confirming our collective responsibility to prevent this crime. 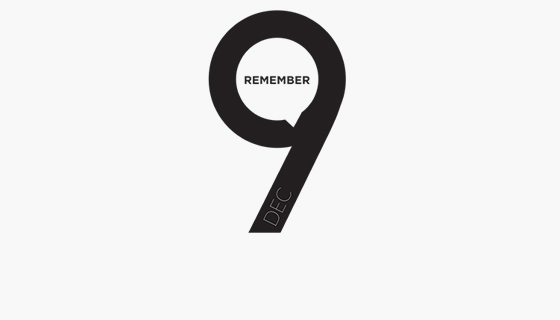 Each December 9, we shall highlight the international community’s shared responsibility and call for greater accountability and action as a way of bestowing dignity to those who suffered. Not only is December 9 the anniversary of the 1948 adoption of the Convention on the Prevention and Punishment of the Crime of Genocide, it is now a reminder to the world that our job is not done. For the millions affected by this terrible crime, we must never forget. To those currently at risk, we raise our voices for you. Millions have lost their lives. But they will never lose their voice.